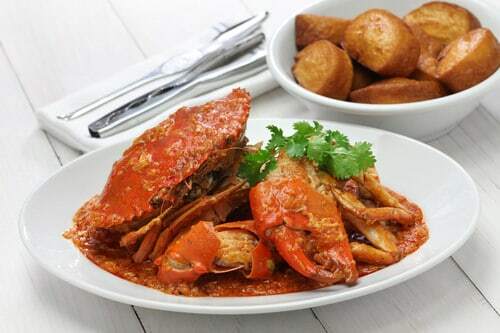 Being born and bred a Singaporean, I have the ‘foodie’ gene running through every inch of my soul. I LOVE MY FOOD, and learnt at a tender age, the appreciation of food. I’m also very lucky to be born into a family who loves bonding over a home cooked meal or two, and are mighty good at the cooking bits and pieces too.This meant that weekends and special occasions would usually turn into a cooking fanfare. My Mum and aunties would gather themselves in the kitchen for prep, conversations and cooking. I would be tasked with peeling of the potatoes, or using the mortar and pestle to pound a lethal combo of garlic, shallots and chillies…FUN! Given that there were quite a few of us, food had to be made for a small army. Two tables were usually set, one for the grown-ups and one for us kids. I remember very fondly ‘graduating’ to the grown-ups table, whilst the adults were somehow delighted to be ‘demoted’ to the kids table. These evenings would last into the wee hours of the night, endless playtime and conversations with a few rounds of mahjong thrown in for the grown-ups. As you could probably tell from one of my family photos above, we are quite the crazy, fun-loving bunch! Now my Dad is a great cook, which is a rarity when it came to Asian Dads. 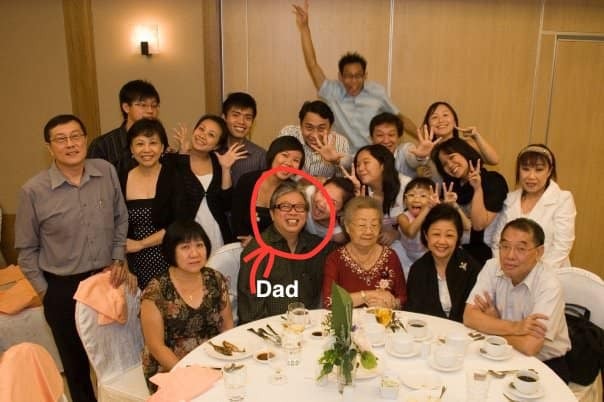 Not all Asian Dads, at least in that generation of Dads, cook. It’s that old school upbringing where the men would work and bring home the bacon. Mum would do the cooking, cleaning, taking care of the kids. It’s a case of playing reversal roles in my family, Mum’s strength is definitely not in the cooking. She makes a wicked chicken curry and rice vermicelli stir fry, and that’s as far as her repertoire stretches. Dad on the other hand, is pretty versatile when it comes to his repertoire of simple Asian dishes. Dad loves to cook up a storm in the kitchen, but would leave a trail behind like a hurricane’s been through the kitchen. He’s great at cooking, but I wouldn’t praise him for the cleaning up! He may win points at Masterchef, however, would be sadly dismissed for a messy bench. He also leaves the prep work to my Mum, myself and my sister. He would saunter into the kitchen to work his magic once all his ingredients are cleaned and nicely chopped up the way he wants it. Well, he is the head chef and we weren’t complaining when we had food tasty enough to give a restaurateur a run for his money. With Father’s Day nearly upon us, I thought I would coax my Dad to share some of his winning recipes. It took a bit of convincing as he wasn’t sure if his recipes were ‘up-to-scratch’. 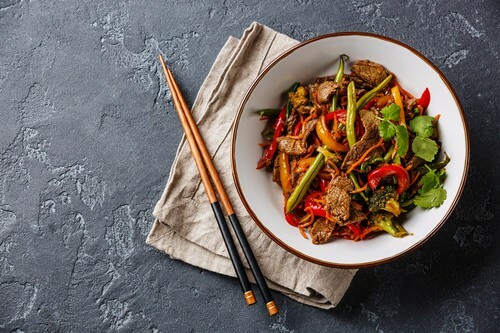 Well, I won that hustle and without further a-do, from my Dad to yours, and your family, here are his winning Asian food recipes! PS: Dad still lives in Singapore whilst I’ve migrated to Sydney and am unfortunately unable to take any photos of Dad’s wonderful creations. The stock photos that accompany the recipes are as close as I could get to his dishes. 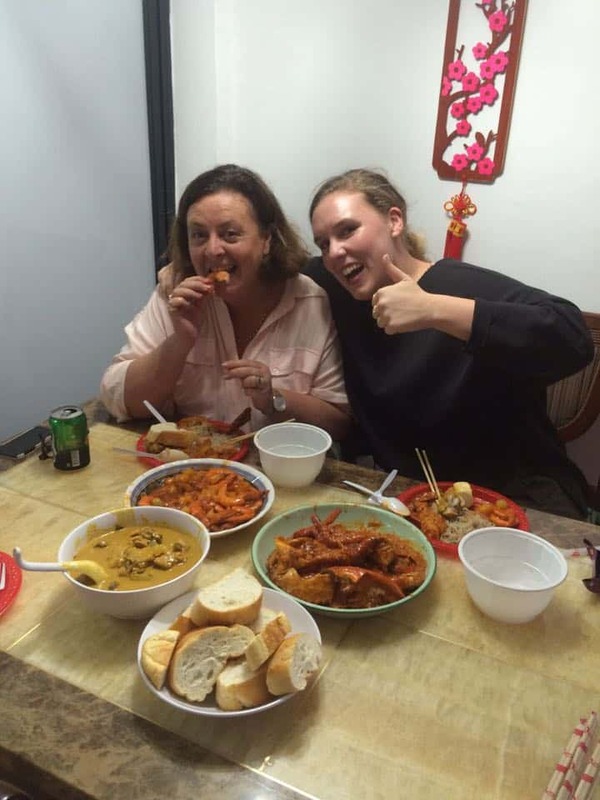 I do however, have a photo of an ex-client of mine and her mum enjoying my Dad’s dishes whilst they were holidaying in Singapore. 🙂 The look on their faces say it all! A delicious and spectacular home-cooked meal should be accompanied by beautiful dinnerware for that added ‘WOW!’ factor. It’s time to blow the socks off your guests and loved ones. We’ve curated a charming collection of tableware to turn both the visual and taste senses up a few notches! Heat frying pan to medium heat. Add oil. Add red onions, kaffir leaf and lemongrass. Stir fry until fragrant. Add prawns and stir fry until fully cooked. Top with coriander and enjoy! Heat deep frying pan or wok to high heat. Add 3 tbsp oil. Add garlic. Stir fry until fragrant. Add chopped chillies. Stir fry until fragrant. Add crabs and stir well. Add water and bring to a boil. Add seasoning and boil for about 8-10 mins or until crabs are cooked. Stir in the thickening glaze a little at at time until your desired consistency. Stir well until eggs are cooked. Deep fry mantous until golden brown. Serve and be prepared to get those fingers lickin’ good! Heat frying pan to medium heat. Add 3 tbsp oil. Add garlic and ginger. Stir fry until fragrant. Add aniseeds, beef and seasoning. Turn to low heat and let simmer for about 6 mins or until beef is cooked through. 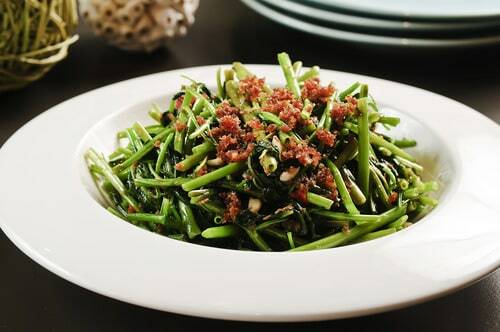 Serve with sliced spring onion and enjoy! PS: remember to remove aniseeds (if desired) before serving. Heat frying pan to medium heat. Add 6 tbsps of oil. Add garlic, chillies and dried shrimps. Fry until fragrant. Add the shrimp paste, sugar, Kang Kong. Stir fry until Kang Kong starts to shrivel. 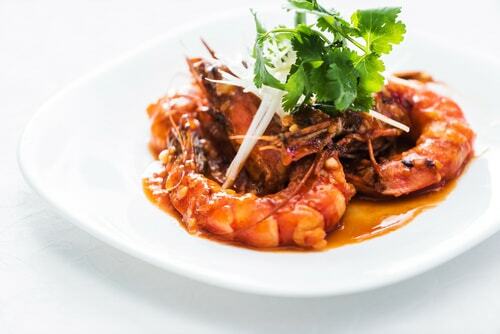 Serve with warm Jasmine rice and enjoy! Big smiles and thumbs up for Dad’s cooking!